Language and culture are intertwined, which makes non-verbal communication a key aspect in language learning. Not all communication is language-based; people also convey what they’re thinking using gestures, eye contact, and facial expressions. Understanding differences in non-verbal communication is a vital part of building cross-cultural relationships. 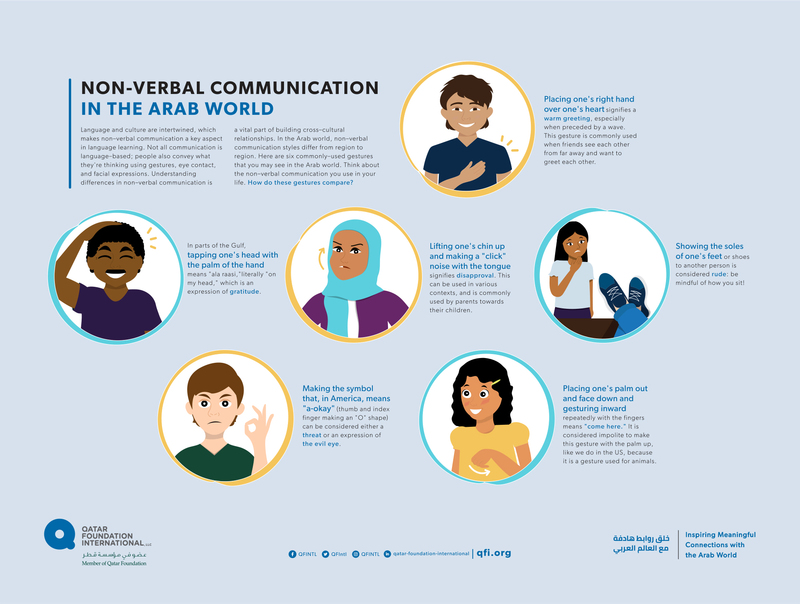 In the Arab world, non-verbal communication styles differ from region to region. Here are six commonly-used gestures that you may see in the Arab world. Think about the non-verbal communication you use in your life. How do these gestures compare?